I am getting competition, friendly competition I assume. It is Manie B. from South Africa who is challenging. It is welcome. 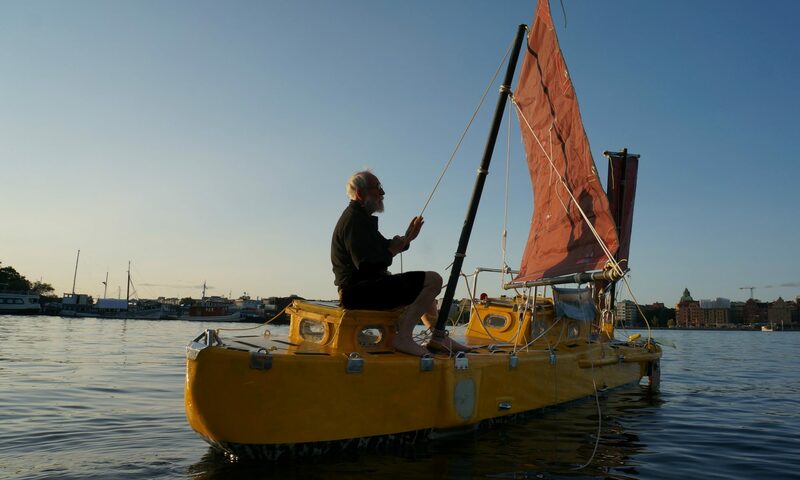 The more well conceived boats that are designed the more the people in Brussels the ones with the Recreational Boating Directive will stand out as fools. Manie are doing good work. However I like to add two reflections. First Steve Lewis box keel will interfere with stability and stability is one of small boats weaker points. 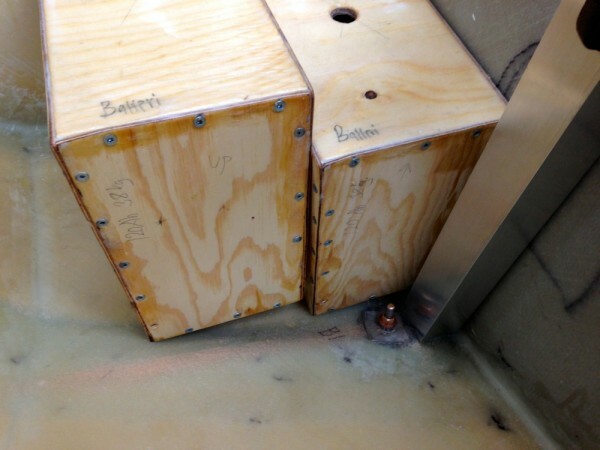 The keel box will add a lot of volume low down. It has the same effect as putting a pontoon below the boat. It will tend to capsize it. The center of flotation should be as high as possible for maximum stability. Second Manie likes a long Yankee Girl type keel for directional stability. It works but one should keep in mind that it’s only the parts in the end that are useful much in the same way as only the top and bottom part of a beam add to its strength. That is why we have I-beams and sandwich construction. The top part of the beam is in compression the bottom in tension the neutral axis in the middle is useless . So with the long keel the middle part only add wetted surface. It is better to put that surface in the ends. However going downwind in strong winds the last thing I like to have in the bow is lateral area. That is why I in 1985 launched my first boat with a centerboard before the mast right up in the front. It was very successful and more boats with that principle has been built by others and me. 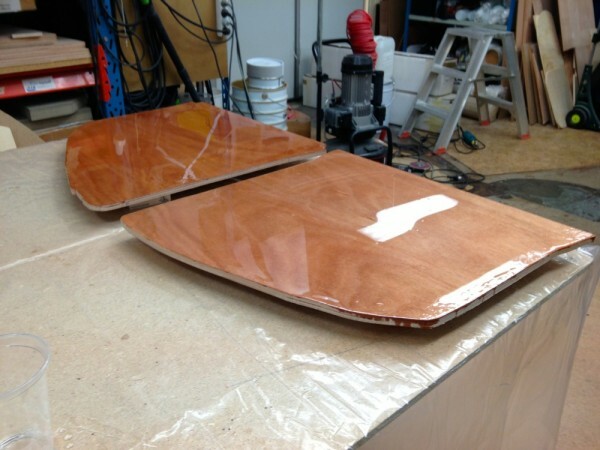 Below is a picture of the mock up of the batterys. I made the mock up becouse at 40 kg each the batterys are heawy to move. Below is a picture of the sides of the battery boxes that contain the four 120 amp gel Sonnenshine batterys.